Evolve® water conditioning and purification systems bring cutting-edge water treatment into your home to provide the brilliant water only science could produce. Equipped with the patented IQ2 controller, a self-monitoring, deep cleaning system, and our exclusive Crystal-Right™ media, these systems preserve your home's plumbing and fixtures while eliminating unwanted tastes and odors. Unlike normal softening resin, these silica-based crystals effectively filter iron, manganese, and nuisance bacteria while correcting acidic water conditions. They also have a high tolerance to withstand higher levels of chlorine making them the ideal media for our patented disinfection system. Crystal-Right media does all of this while softening the water in your home at the same time. Wripli®: Wripli enabled softeners will use your WiFi connection to give you instant, on the go access to your system. See how much you've saved with W.E.T., view your water usage, receive salt alerts, and more! Our twin tank conditioners can meet the high demands of your busy household. When one tank has used up its conditioning capabilities, the advanced electronics automatically switch to the reserve tank. 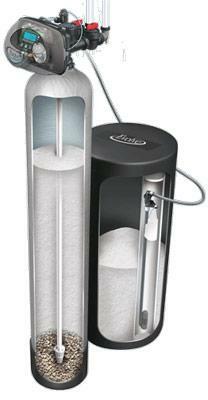 This provides continuous treated water at all hours of the day. We're proud to be part of the Evolve family of dealers offering people across the United States the clear choice on how to meet your water quality needs for home and commercial applications. 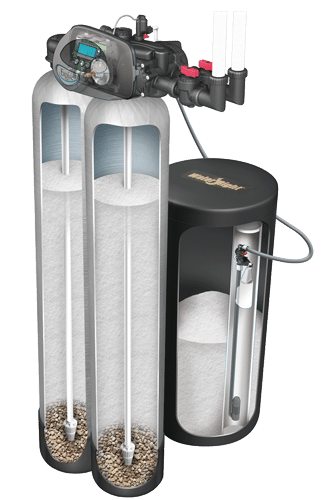 From water softeners, iron filters, pH neutralizers, to reverse osmosis, we have the latest technology and training so our friendly staff can advise you on the best products and system for your needs.